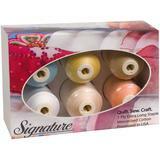 Good quality thread can make or break a sewing, quilting or embroidery project. 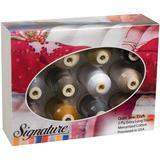 Signature Quilting Thread is a low lint, 3-ply, 100% cotton thread. 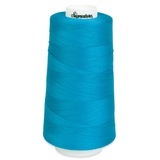 This high-quality thread is mercerized for superior strength and is great for both long arm machines and home sewing machines. 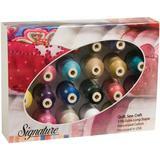 Shop our selection of 70 colors as well as our assorted gift packs. 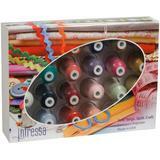 Each cone contains 3,000 yards of 40 weight thread. If you are unable to find what you are looking for, please contact our customer service department.